Living with rheumatoid arthritis can be challenging. There are small changes that you could make which might make day-to-day life a little bit easier. Whether you’re a student, in work or retired, there are ways you can manage your condition around your lifestyle. The following five lifestyle tips are all easily actionable and may make a real difference in the day-to-day life of someone living with rheumatoid arthritis. Most people with a diagnosis of rheumatoid arthritis will be referred immediately to a consultant rheumatologist suitable for their condition. If this isn’t the case or if you simply do not feel like your doctor is the right person for you, you can look into alternative options. 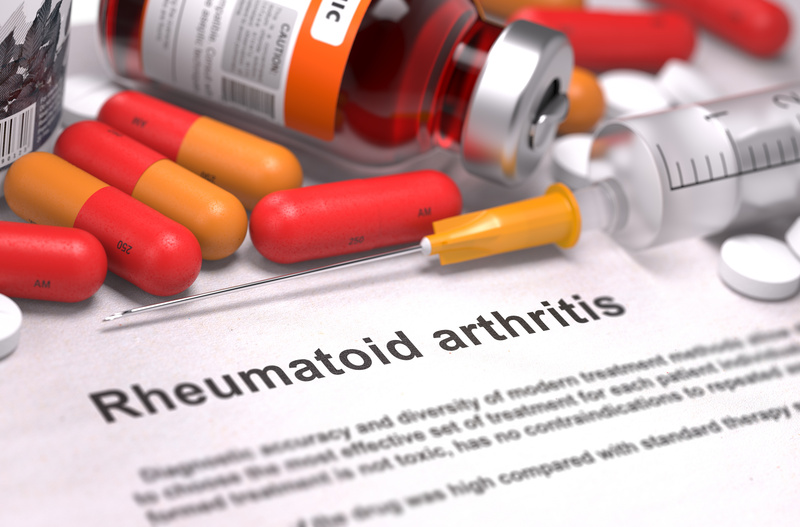 Private rheumatologist prices may seem daunting but it could be an effective way of getting the treatment you need. Beyond this you are entitled to support in your working or studying environment. Most universities have a disability support office or welfare services and workplaces too have to make fair provisions so you can continue to work. In time you will get to know your body and the way the condition works and affects you. This means you have the knowledge to ensure you live in a way which matches your abilities. This can seem demoralising but it means if you have plans for a long walk or an intensive day out, you may need to plan a day of rest the next day or think about saying no to social events more than a couple of days in a row. It is entirely dependent on your condition but you will soon come to know the feeling of fatigue when you have ‘overdone it’ and learn to respond accordingly. A nutritious diet, rich in antioxidants and omega-3 fatty acids is known to help prevent some of the symptoms of arthritis conditions. Maintaining a nutritionally balanced diet and a healthy weight also reduces the pressure on your joints. There are a range of foods particularly valuable to your diet when living with arthritis listed here too. Similarly, regular low impact exercise is a must for people with rheumatoid arthritis. Keeping your joints moving and as flexible as possible helps to limit stiffness and can relieve some of the main symptoms. Exercise boosts energy, helps to keep muscles as relaxed and flexible as possible and can even increase your range of motion. If you’ve only recently been diagnosed with rheumatoid arthritis, then you may not be used to needing to be so organised. In time you will become a good planner, not just in terms of managing to live within your capabilities. You will also be an expert at organising your medications, appointments and other requirements to ensure your condition is as controlled as possible. You will soon be good at locating a pharmacy wherever you may be and you will have a social calendar which is just as packed as it used to be, but is better organised so you can get the rest you require. Research shows that as many as 80% of people with arthritis have had difficulty sleeping at some point. Sleeping when in pain is extremely difficult and it can result in multiple wakeups or an inability to get to sleep at all. Sleep deprivation can make pain worse. To get a better night’s sleep it is recommended you stick to relaxing tasks before bedtime such as reading or listening to gentle music. Try to ensure you switch off all screens, including mobile phones, at least an hour before you sleep and remember, naps can disrupt your sleep routine further so try and keep sleep during night time hours only. If you have any questions about living with rheumatoid arthritis then please contact Dr Stephanie Barrett.